This summer, the New Brunswick government officially rejected the Sodexo takeover of management of food, cleaning and patient portering services in New Brunswick hospitals. 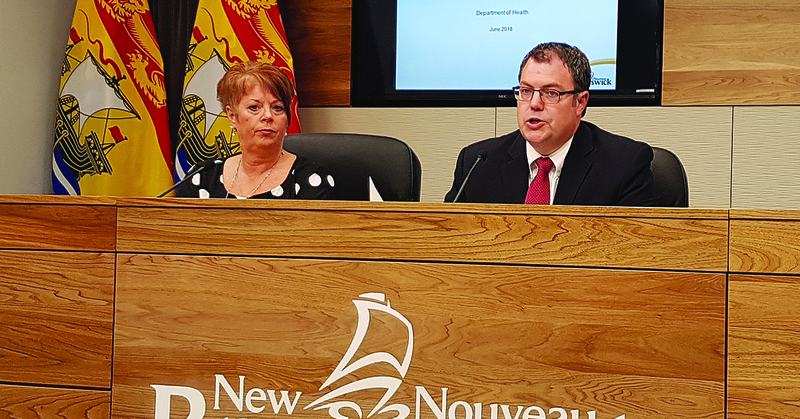 “After petitions, rallies, meetings, citizen advocacy, our efforts to halt privatization have been successful,” said Norma Robinson, President of CUPE 1252, the New Brunswick Council of Hospital Unions. The “Sodexo idea” was first explored in 2012, under the Alward Conservative government. When Liberals came to power in 2014, Health Minister Victor Boudreau revived the idea. He reopened talks with Sodexo, a French multinational corporation, stating he wanted to “save 7.9 million dollars” and to standardize practices throughout the 21 general hospitals of the province. More than 280 hospital jobs would have been eliminated if the government had given the green light to Sodexo. Immediately, when the Sodexo plan was proposed, it did not sit well with health professionals and members of the public. CUPE 1252 informed its membership, and soon a coalition opposing privatization was created, including the NB Health Coalition, Égalité Santé en Français, the Societé de l’Acadie du Nouveau-Brunswick (SANB), CUPE NB and other citizens’ groups. The National Farmers Union joined the campaign and opposed the deal, knowing that privatization of food services would mean the end of a potential buy-local food strategy. Other backers included Gilles Lanteigne, CEO of Vitalité, the francophone Regional Health Authority. He came out multiple times in the media to reiterate his opposition to the deal, saying it was against the principles of public health care. Lanteigne presented the Minister with a public restructuring option to demonstrate how going in-house was cheaper and better than contracting out to Sodexo. “When our members, citizens, the Vitalité Health Network, health professionals, economists and farmers came out in support of public health care, rather than private interests, the government had to listen,” said Daniel Légère, president of CUPE NB. “I suspect they also looked closer at the deal and realized they would not even come close to saving seven million dollars with Sodexo. With the September 2018 elections coming up, they saw the writing on the wall: Sodexo was a costly restructuring scheme, financially and politically,” added Légère. In December 2017, a joint labour-government steering committee launched the Task Force on Food, Environmental and Portering Services. The mandate of the task force was to identify gaps and opportunities with respect to the provision of food, environment and portering service within our regional health authorities. “The task force, which included front-line CUPE members, did its job and concluded what we had said from day one: Privatization was not the solution. The new Health Minister, Benoît Bourque, accepted its recommendation to scrap the deal. He listened to the workers’ concerns on Sodexo,” said Norma Robinson. “Our work is not done, however. There remains some troublesome overwork and contracting-out happening in health care, but victories like this one are significant. We can certainly celebrate this,” said Robinson.